Georg Jensen sterling silver pitcher no. 385B with ebony handle. 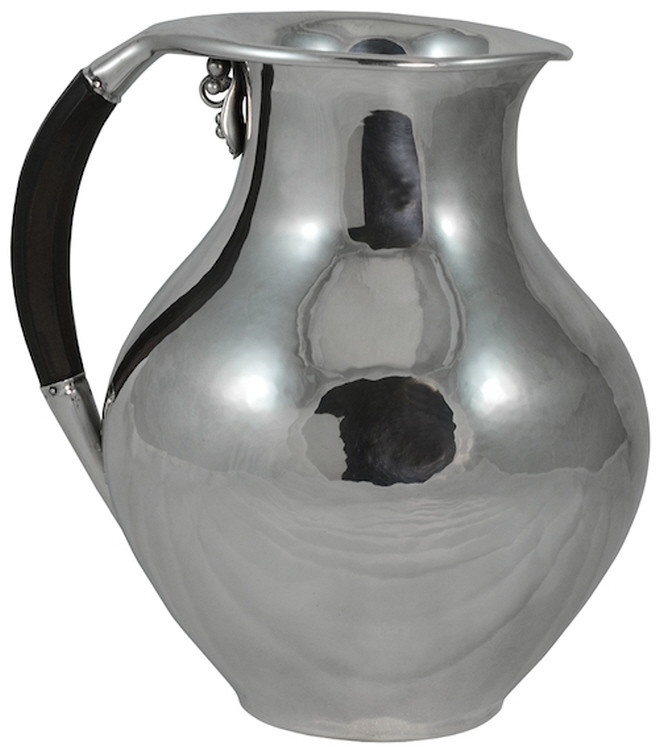 This pitcher was designed by Jorgen Jensen in 1923. The pitcher stands approximately 5.25 inches high. The pitcher bears impressed company marks for Georg Jensen, Denmark, Sterling. Also, the pitcher bears an inscription on the base dated 1938. The pitcher is in excellent condition.